Prostate cancer is the most common cancer diagnosed in Australian men, and fortunately has a very high five-year survival rate (94%). However, a significant sub-group of patients’ report poor quality of life post treatment, such as erectile dysfunction and urinary incontinence. Following the Optimal Care Pathway has the potential to significantly improve patients’ quality of life by building general practices awareness of symptoms, PSA testing guidelines, referral pathways, management options and supportive care needs. Men should be fully informed before making final decisions on either PSA testing or management of prostate cancer. To learn more about prostate cancer management, we invite general practitioners and practice nurses to participate in a Prostate cancer small group learning activity. This will be supported by a skilled facilitator, knowledge champions and evidence-based resources. Come along, share your knowledge and expertise and gain 40 Category 1 RACGP points. For more details and to register, please click here. 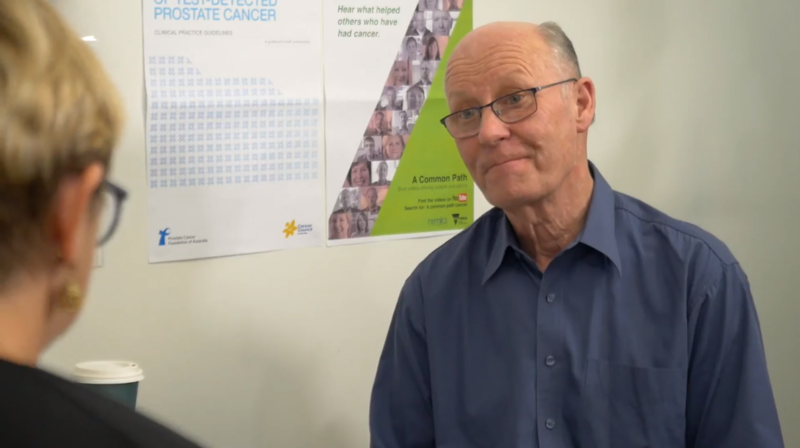 For further education, you can now view the optimal care pathways prostate cancer education session videos on our website. RACGP points are available to those who watch the five videos and submit a self-directed activity to the RACGP website. HealthPathways Melbourne have also developed a Prostate Cancer HealthPathway to align with the Optimal Care Pathway. View this by logging in to HealthPathways Melbourne (Username: Connected, Password: healthcare).